Seven people with ties to Missouri University of Science and Technology will be honored during the Miner Alumni Association’s Miner Legends Banquet on Saturday, Oct. 13, at Missouri S&T. The awards banquet is held in conjunction with Missouri S&T’s Homecoming celebration. The public is invited to the banquet, which will be held in St. Pat’s Ballroom of the Havener Center. The event begins at 6 p.m. Tickets are $30 for adults and $15 for children ages 6-12. Admission is free for children under age 6. To register, visit mineralumni.com/homecoming . For more information, contact the Miner Alumni Association at 573-341-4145. Forest Breyfogle III of Austin, Texas, who received the Alumni Achievement Award. Breyfogle, president and CEO of Smarter Solutions, earned a bachelor of science degree in mechanical engineering from Missouri S&T in 1968. Jason Brinker of Houston, who received the Distinguished Young Alumnus Award. Brinker, Vistamaxx PBE brand manager for ExxonMobil Corp., earned a bachelor of science degree in chemical engineering from Missouri S&T in 1997. Joel Burken of Rolla, Mo., who received the Alumni Merit Award. Burken is associate chair and professor of civil, architectural and environmental engineering at Missouri S&T. Preston Carney of Broken Arrow, Okla., who received the Distinguished Young Alumni Award. 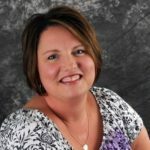 Carney, who is an estimator and project manager for Sheehan Pipeline Construction Co., earned bachelor of science and master of science degrees in civil engineering from Missouri S&T in 2002 and 2003, respectively. Harry Laswell of Sacramento, Calif., who received the Alumni Achievement Award. Laswell, who is managing partner of American River Ventures, earned a bachelor of science degree in physics from Missouri S&T in 1978. Milt Murry of St. Louis, who received the Frank H. Mackaman Alumni Volunteer Service Award. Murry, an adjunct professor at Jefferson College, earned bachelor of science and master of science degrees in electrical engineering from Missouri S&T in 1964 and 1980, respectively. Sarah Stanley of Rolla, Mo., who received the Class of 1942 Excellence in Teaching Award. Stanley is an assistant professor of business and information technology at Missouri S&T.